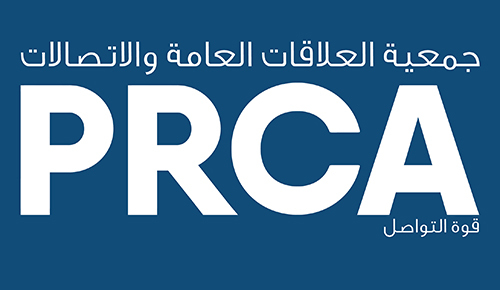 The PRCA MENA Awards 2018 celebrated the very best individuals, teams, and campaigns from the PR and communications industry from across the Middle East and North Africa. Leading practitioners attended the awards at the Renaissance Downtown in Dubai on the evening of Wednesday, 21st February. The event, hosted by broadcaster and journalist Katie Fielder, saw consultancies, individuals, and in-house teams compete for awards in 15 categories. The big winners of the night were Seven Media and Brazen, winning two awards each. Seven Media won Large Agency of the year for the second year running, and also Best Digital campaign for ‘Bring George Home’ for Barasti. Q Communications was highly commended for its work with ‘Living the Voss Lifestyle’ in the Best Digital Campaign category. Brazen won the Media Relations category with ‘Brazen gets behind the wheel with Careem’, with Seven Media being highly commended in the same category for its work with ‘Novo Cinemas’. Brazen also won the Small Agency of the year category. Instinctif Partners was highly commended in the same category. Ras Al Khaimah Tourism Development Authority won the in-house team of the year award. Markettiers won the Results on a Budget award for its ‘IMG World of Adventures – Dino Time’ campaign, and Weber Shandwick picked up highly commended for the campaign ‘Children’s National’. Lauren Brush MPRCA, Senior Communications Consultant, Active DMC, won Rising Star of the Year. David Willett MPRCA, Head of Digital/SDAM, Weber Shandwick, was highly commended for the Rising Star of the Year Award. The PR Leader of the Year was awarded to Lucy O’Brien MPRCA, General Manager and Partner, FleishmanHillard. Best B2B Campaign was awarded to Toh for its work with ‘Boom Supersonic – Heralding the New Jet Age’ and highly commended was handed to Yardstick Marketing for its work with RSM. Best B2C Campaign was awarded to Hill+Knowlton Strategies for its ‘Arla Brand Launch’ campaign. Weber Shandwick was highly commended for its work with McDonalds. The Best Influencer Relations award was handed to BPG Cohn & Wolfe for its work on ‘Hotels.com’. Joton picked up the highly commended award in that category. Weber Shandwick won the Best Crisis Campaign award for its ‘FAB Merger’ campaign. Impact Porter Novelli was awarded the Best Integrated Campaign award for its ‘Centrepoint Family Clock’ campaign. Marriott was highly commended for its ‘Ramadan with Marriott’ campaign. Regional Campaign of the Year was awarded to Matrix PR for its campaign ‘Face It All With Himalaya’. Shamal Communications was highly commended for its work with ‘Arabian Travel Market’. The newly added Game Changer Category was won by Edelman with the campaign ‘SYFY- Channel Zero, no Ends House TV Series Launch’. Highly commended was awarded to Hill+Knowlton Strategies with the campaign ‘Music on the Fairways: Changing the Game of Golf with HSBC’.